George Willers (1815-1890) was a shepherd and publican of the Fleece public house – now Fleece Cottage. This had a large room where all festivities such as feasts and weddings were held as there was no village hall then. He had 13 surviving children, 7 of them boys. The Willers had always had their own horse to help with the business, and kept geese, chickens and a cow to supply their own family. One of sons, Frederick Willers (1848-1930), started the (wheelwrights/ carpenters, coffin makers) Willers Yard business adjoining Walnut Cottage (102 High Street) in Harston in 1870, after doing his apprenticeship in Newton. His son George Thomas (1880-1970) worked with him, as did his grandson Frederick George (FG) (1914-87). The Willers were the village coffin makers and would walk with the coffin on a hand-drawn bier at the funerals, used as late as 1996. 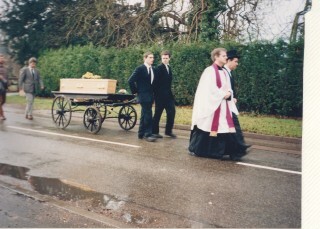 George Thomas Willers did the very first burial at the Parish Cemetery in Button End. 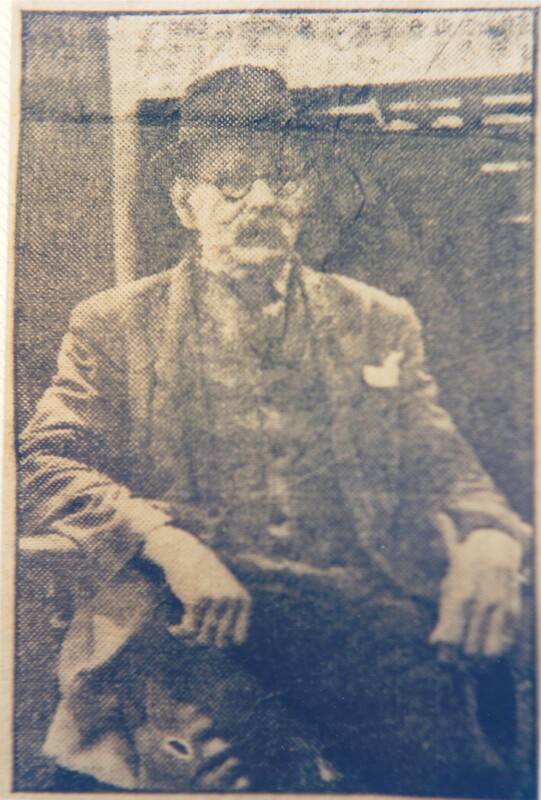 George T carried on the business in Harston during World War II when his son Frederick G was sent to work at Marshalls on aircraft as he was a carpenter/joiner. FG was given a house in Cambridge with all the amenities. His son Brian was born there in 1942 along with his twin brother Keith but after the War the family moved back to Harston to Oaktree Cottage, near Park house. This house didn’t have any amenities, just one tap. As Brian and his younger brother Peter got TB they were advised to move out for better conditions and moved to River View, which they built on Haslingfield Road, just before the bridge. Willers Yard then moved to River View by 1950s. Brian went to school at Harston till he was 15 then went straight to work for his dad as a carpenter while his twin brother Keith became a bricklayer. Brian bought land in Button End around 1962 and built Linden Lea when first married, although he moved to Newton in 1980. In 1970 Willers Yard moved to Button End 100 years after the business was first started so the new works was called Centenary Works. In 2014, the business is carried on by Brian’s son, Mathew Willers, while his son Charles does carpentry work for the University.